We now offer a dibble press for applications like transplanting where the rolling dibble doesn't make a deep enough impression in the soil media. 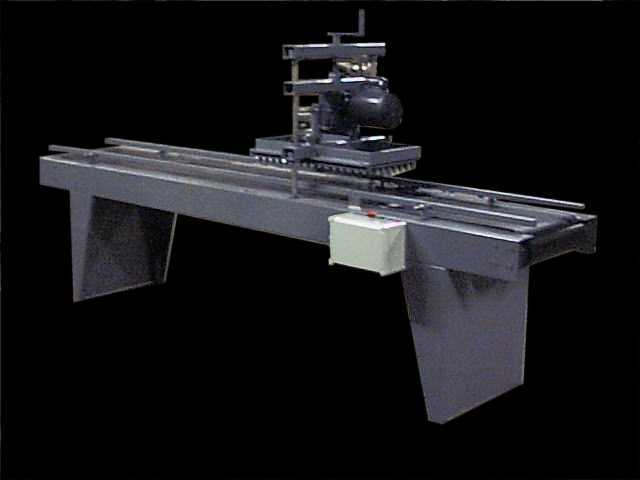 The picture above is a special long conveyor version but we can customize the conveyor to your needs. The press is unique in that it is a direct electric drive with no hydraulics and their associated noise, oil mess and maintenance. The machine is virtually silent and only runs when a tray trips the photoeye to trigger the press operation. The platen is built to accept standard dibble boards and be customized to fit your existing boards if needed. The dibble points can be made any shape you like. Capacity is 1000 trays per hour.